Ours are the services for property investment Hounslow can have confidence in. This is along with other expert forms of assistance available to people across London. We always stay on top of industry information so that we can provide leading services. 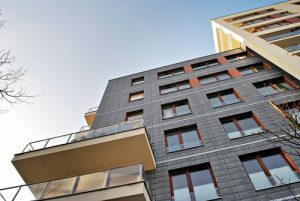 Transport for London (TfL) has chosen Grainger, the FTSE 250 residential landlord, as a partner for its build to rent scheme. TfL is one of the biggest landowners in London but struggles to bring development forward on its own. They will own 49% of this joint venture with Grainger owning the majority share. The aim of this partnership is to build 3,000+ homes next to stations over 8 sites. TfL’s strategy to build homes for rent will help to bring in revenue that will be reinvested in the transport network. It will also create housing in areas where people will want to live. Some of the sites include Hounslow West tube station. There is potential here for up to 300 homes. Other examples include Cockfosters tube station with potential for 300 homes and also Arnos Grove tube where they could build up to 100 homes. The joint venture partners will work with local Boroughs. This will help identify housing needs for the area in regards to each site. In addition, out of the 3,000 homes a minimum of 40% will be affordable. Some sites will have a high degree or majority of houses with this classification. The long-term partnership gives the opportunity to deliver high quality, affordable homes at pace. This is while providing ongoing reinvestment into the transport network through new revenue. The joint venture will create a great deal of the total 10,000 homes TfL wants to start by 2021. Finefair is the home of the dependable services landlords and investors enjoy using. Whether it is help with property investment Hounslow trusts or other forms of work that are available across the capital, get in touch. We can discuss your property needs so that we can provide services you will love.